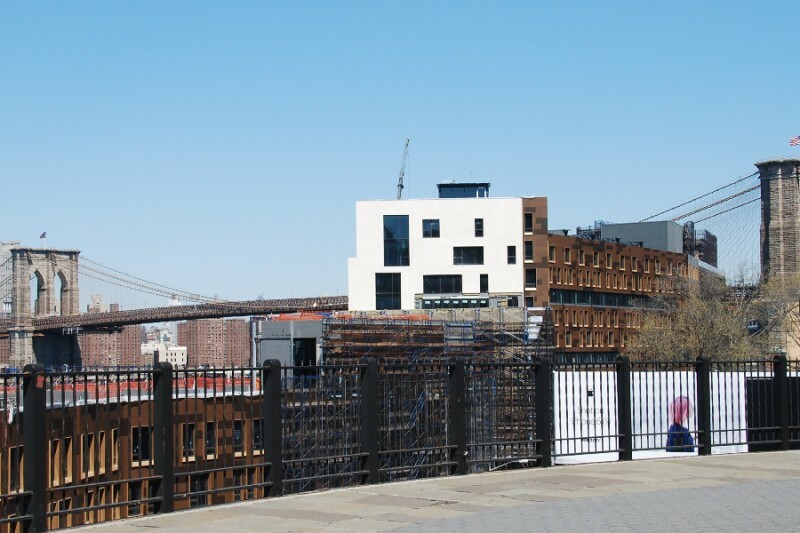 Pierhouse, a hotel and residential complex on the south side of Brooklyn Bridge , is obstructing the world-famous views of the historic bridge and Manhattan Skyline. The plans are inconsistent with what was presented to the comunity in 2006. Working together is the only way to stop the Pierhouse from completely obstructing these scenic vistas. The northern hotel complex of the Pierhouse is now well above the 100 foot limit clearly stated in the 2005 Modified General Project Plan. It is also apparent that Toll Brothers, the developer, plans to exceed the 55 foot building height limit set for the southern condo building. We now believe litigation is a necessary step to achieve our goals. To this end, we formed a legal entity known as People for Preserving the View Foundation (“PFPVF”). We are seeking donation to help with legal costs associated with pursuing this litigation. PFPVF staff is strictly volunteer and receives no compensation. PFPVF has filed an application with the Internal Revenue Service for non-profit/501(c)(3). For further details on tax deductions, please see the IRS document here for more information. Please donate any amount, if you can for Giving Tuesday. We are all UNPAID volunteers (with day jobs) and ALL DONATIONS will go towards this attorney's retainer. We have poured our own money, sweat (and lots of tears) into saving the view of the Brooklyn Bridge for us and all future generations. Now we need your help. Even $5.00 will help. THANK YOU FOR ALL THAT YOU DO to help! Due to the length of time that has passed since our court hearing, we took the unusual step today of asking the court when it will be deciding on our motion for a preliminary injunction. As the penthouse apartment began rising on the roof of the Pierhouse’s southern building in August 2015, we became concerned that it was infringing on the protected Scenic View District (“SV-1”). We hired Arek Surveying P.C. to survey the building and determine if the structure protruded into the protected region. Their measurements confirmed our suspicion that despite all the assurances from the Brooklyn Bridge Park Corp (‘BBPC’) that they would follow the SV-1 regulation, the penthouse, in fact, violated the regulation. In October 2015, we sent Arek’s survey and report to the BBPC and the NYC Department of Buildings (“DOB”), asking them to stop the construction and remove the violation. We received no response from the BBPC, and for seven (7) weeks the DOB kept telling us they would provide their ruling shortly. We were left with no choice, and together with the BHA we filed legal action. We did not want any doubt that we filed before the end of the statute of limitations which was fast approaching. The initial papers were filed on December 4th. In January, both sides submitted additional supporting documents and oral arguments were heard on February 4th, 2016. In court, Judge Knipel allowed an affidavit by Councilman Levin supporting our case to be added to the record. Defendants responded to Levin’s affidavit two weeks later on February 17th. We expected to hear back from the court soon thereafter; however, it has now been over 130 days from the time the defense papers were filed. Hence, in the interest of moving the case forward, we submitted the attached letter to the court. We need to raise funds to support the legal battle and continue this court case. While it is frustrating beyond belief that the City, the DOB and the Courts are taking so long at each and every step, we need to prepare for the eventual case no matter what the Judge decides. Please contribute so we can continue to send the message that the City is not for sale to those who contribute heavily to public officials. P.S. I am unable to attach the letter to the judge. Please go to our website to view. Thank you! We have been informed that the BBPDC MEETING FOR WEDNESDAY HAS BEEN CANCELLED. The ESDC meeting is still happening on Thursday at 9:30am at ESDC offices on 3rd Ave. Please do attend the ESDC meeting, if you can. Met Steve on the Promanade this morning while walking my dog. I have lived in Brooklyn Heights for over 25 years, walk my dog on the Promanade daily and am outraged the City and State governments allowed this to happen. Yes! I love the Brooklyn Bridge Park and know that the money to build and maintain it had to come from the private sector. However, there was no need to build the luxery apartment building so high. It is too high a price to pay for the Park.